The Council of Ministers consists of the Prime Minister, the Deputy Prime Minister, the Ministers and the Deputy Ministers. The Deputy Ministers are not members of the Council of Ministers, but the Prime Minister may invite them to attend its meetings without the right to vote. The Cabinet of Ministers is convened by the Prime Minister at regular meetings on the first and third Wednesday of each month, unless otherwise specified by the Prime Minister. It also convenes extraordinarily when necessary, at the invitation of the Prime Minister. The meeting of the Council of Ministers shall be convened by a written invitation and notification of the agenda of the issues to be discussed. The meetings of the Council of Ministers are held in a specially adapted hall of the Parliament building or in any other space designated by the Prime Minister. The official archives of the Cabinet remain confidential for 30 years. Defines and directs the general policy of the Country in accordance with the definitions of the Constitution and the law. Decides on political issues of a general nature. Decides on any matter of competence of collective governmental bodies or on any matter of competence of one or more Ministers referred to by the Prime Minister. The relevant decisions of the Council of Ministers replace the decisions of the competent bodies. Exercises all other powers provided for by the Constitution and the Law. Αbolish collective governmental bodies already proposed or in any way recommended or to change their composition and competencies. Constitute new collective bodies by its members or with the participation of Deputy Ministers, Members of Parliament, public servants and public sector officers, defining their responsibilities and the way they are organized and operate. Set up committees and working groups consisted by ministers, deputy ministers, deputies, public servants and public sector officers as well as private experts in order to deal with government policy issues. By way of derogation from any other provision, the Cabinet defines how they are organized and operate and what is the benefit for private individuals, public servants and public sector employees. Abolish the secretariats of collective governmental bodies, recommend new ones, recommending the necessary positions and defining the way in which they are organized and operate, as well as merging the existing ones with each other or with the General Secretariat of the Government. Chaired by the Prime Minister and consisted of the Ministers of Foreign Affairs and Defense, (b) National Defense, (c) Maritime and Island Policy, and the Chief of General Staff of National Defense. Shapes the country’s national defense and national security policy. Decides on foreign and defense policy issues, as well as public policy issues related to foreign and defense policy. Decides on issues related to the structure of the Armed Forces, approves the long-term and medium-term programs for the development of the country’s defense capabilities, as well as the major programs of modernization, research, procurement and production of defense equipment and material. Performs extraordinary crisis assessments and decides on the organization of the crisis management system, providing guidance to the Ministry of National Defense, the relevant ministries and other stakeholders. Declares or removes certain measures and staged alarms for the partial or general mobilization of the country and the implementation and removal of the rules of engagement of the Armed Forces and assigns powers in relation to the above for the immediate handling of extraordinary situations. Authorizes the Prime Minister to propose to the President of the Republic, upon a proposal by the Minister of National Defense, the declaration and removal of general or partial recruitment and the declaration of war. Decides on the disposal of national forces in the context of international obligations. 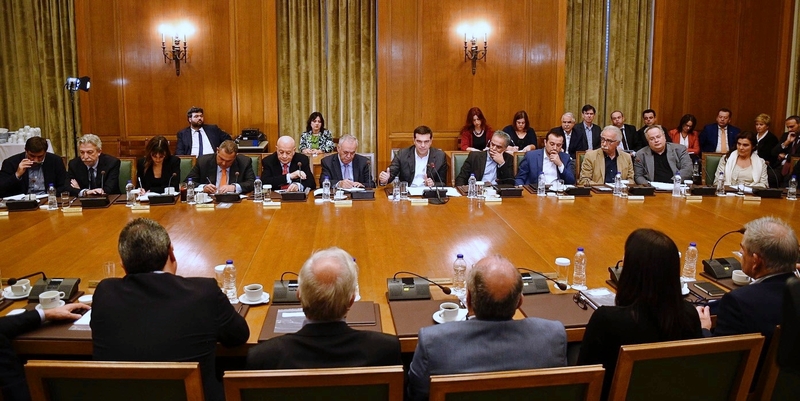 At the proposal of the competent Minister, select, place, transfer, promote and relinquish the top executives of the Armed Forces and Security Corps leadership including the Chiefs of General Staff of the National Defense, Army, Navy and Air Force, Hellenic Police Force , The Fire Brigade and the Coast Guard – Greek Coast Guard.